If you’ve got problems at the bottom then the whole thing is at risk. We know this in other areas of our life, right? If you have salt at the bottom of a glass of water, it will taste like salt at the top before too long. If you have a crack at the bottom of the glass you won't even be able to taste the water before too long and if you take a jenga block away from the bottom of a tower then you have to do it with the utmost care and attention otherwise you will have lost the game before you know it. These are just simple facts of physics but sadly, in some cases, they can end up having real life consequences. The sad fact of the matter is that the vast majority of foundation problems comes from water. Thankfully, we have come a long way since the days of wood and straw buildings. Can you imagine the kind of problems they would have faced back then? However, we still experience water foundation problems and we need to be aware of the causes and the solutions if we want to remain living in an environment that is secure and safe for us and for our families as well. Keep on reading to find out exactly how we are able to do this and to work out how you can use our services for yourself. Crawlspaces, along with any other type of foundation that you can think of, is sometimes a great home for mold and fungus. Annoyingly, there isn’t much you can do about this as they do have to mingle with the soil and their nutrients a bit more than other parts of the house. However there are preventative measures that we can speak about. However, the one thing that mold means is dankness and, after a while, damage. Therefore if you notice any mould on the foundations you need to contact us straight away to give us the best chance of dealing with it. It is not as if you are going to have water pumping into the foundations. No, the thing that is much more likely is that vapour will seep through, creating problems down the line, engendering a moldy environment and causing you problems in general. Therefore, if you want to talk about how you can have a dry basement, a waterproof crawl space and foundations that are never in danger of becoming damp, wet or mouldy, then get in touch today and we can form a great business relationship together. We would very much like to hear from you. If you are a new customer, a previous one or a current one - it is all exciting to us. 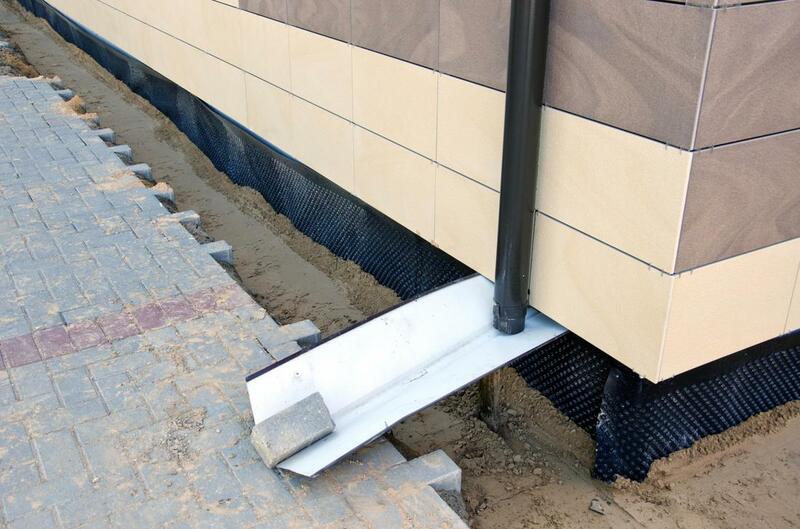 Get in touch and talk to us for a full discussion and explanation but draining spaces, encapsulation and reinforcement are just some of the ways we will look at making your foundations waterproof. We always get great results.